Sparco quick releases are made from high quality aluminum and are CNC milled to provide a “zero play” connection. Tuning – Bolts directly between a Sparco steering hub and a 6-bolt Sparco steering wheel. 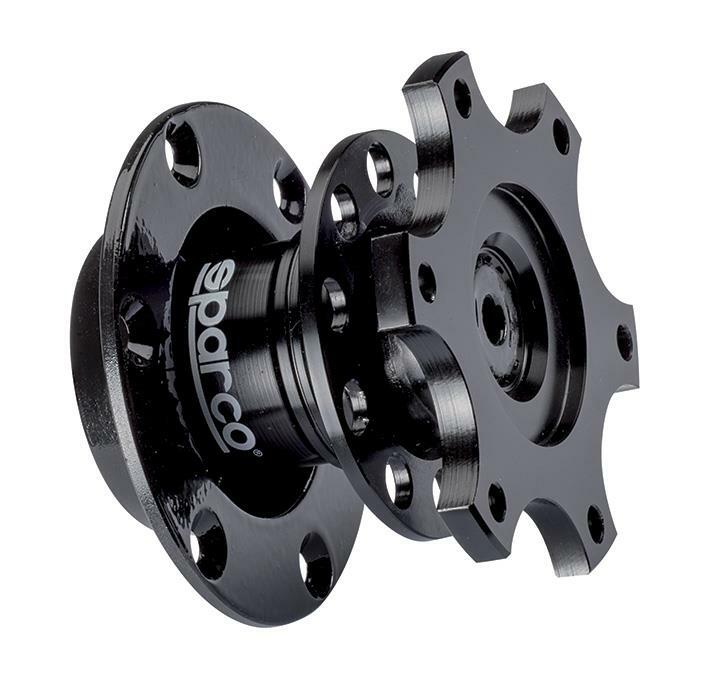 Racing – Does not use a Sparco steering hub adapter, weld directly to the steering column shaft. Mounts to a 6-bolt Sparco steering wheel. Formula – Does not use a Sparco steering hub adapter, weld directly to the steering column shaft. Mounts to a 3-bolt Sparco steering wheel.